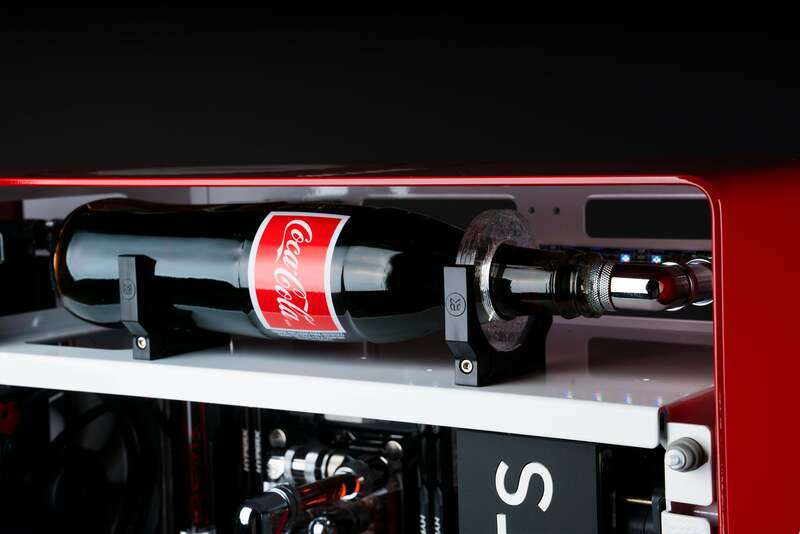 Maingear presents the much more attractive alternative to spilling soft drink on your keyboard. The boutique system builder is partnering with major brands to create one-of-a-kind branded systems, and their first one is all sorts of ridiculous. 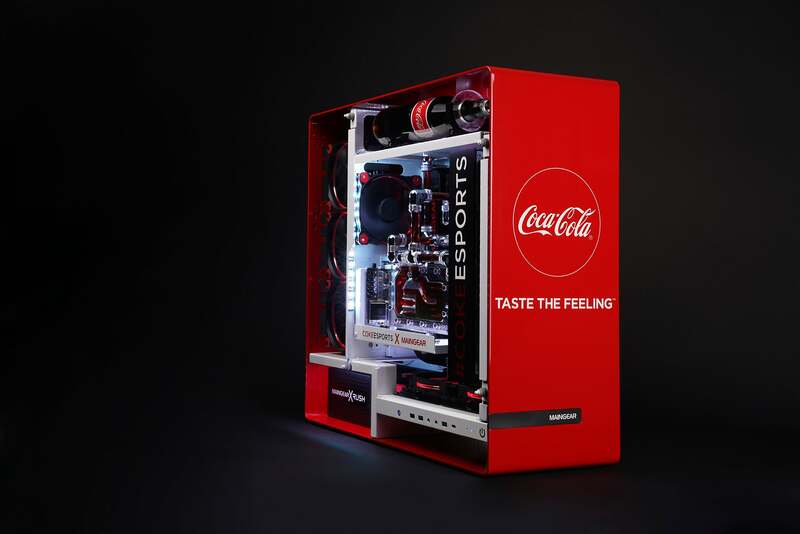 It's not Coke, but between the custom-made Coke bottle reservoir and cola-coloured coolant it's close enough to make me thirsty. The bottle is the cap on a very attractive build Maingear is calling the Rush 1ofOne, part of its new 1ofOne program that promises plenty of silly stuff like this. 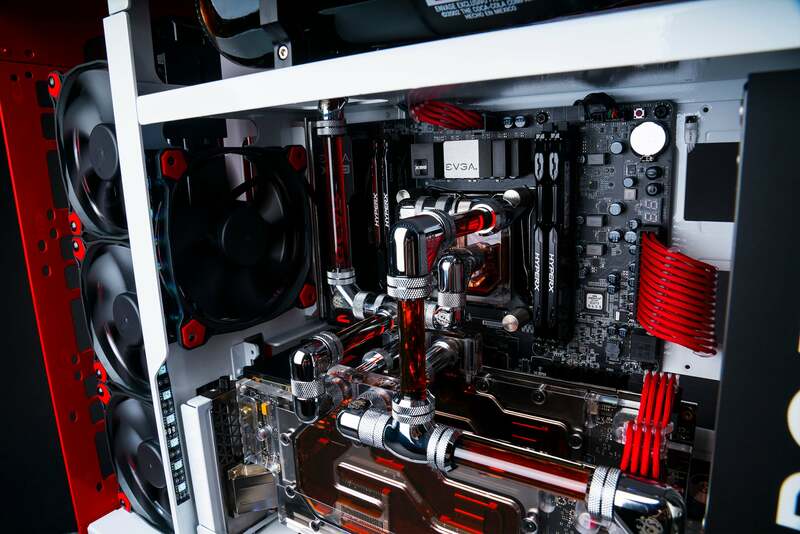 Along with glass bottle and the probably not thirst-quenching fluid showcased in fancy tubing, the Coke-themed system also features a custom extension that runs the graphics cards parallel to the motherboard. All the better to see the custom cooling on the two Nvidia GTX 1080 cards. The first thing I would do if I had this system would be to ruin the aesthetics with a bunch of extra storage, so it's probably for the best that there's only one. They went all out with everything else, so why would they gimp this build with so little ram? 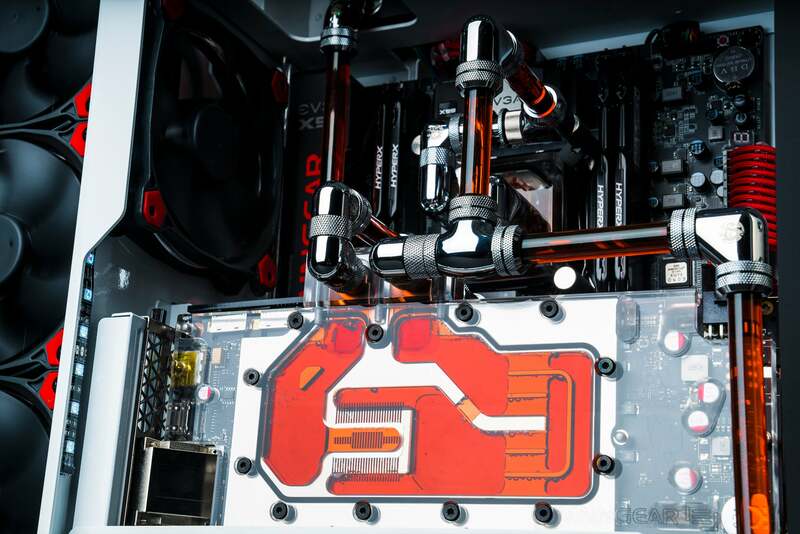 That's some very pretty hard tubing. 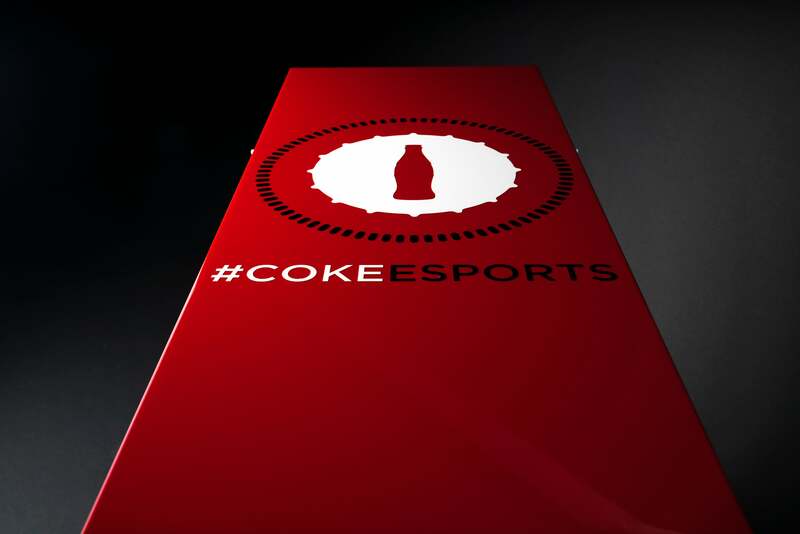 I wouldn't have thought a branded PC could look so appealing, but there's a reason Coke's design is one of the most famous logos ever and that colour scheme with the red, silver and brown is pretty stunning. Very nice stuff.